EVERY hunter MUST stop and check-in, and fill out a mandatory hunter liability release form, at the Brushy Hill Office when they arrive at the ranch- prior to going into any cabin or pasture. This will allow us to welcome you and provide you with a map of your hunting area. The ranch office is located 4 miles south of Sabinal, TX on Hwy. 187- just north of the Ranchero Creek crossing. Hunters may check-in between 10am and noon, for the evening hunt. Late arrivals (after noon) may not be allowed to enter the pastures or camps until later that night if others are already hunting in the same pasture. If you think you're going to be arriving late, please call us and let us know; and we'll let you know if there will be any problem getting into the pasture late. Click here to see the "Drive Times"- when driving in the pastures IS permitted. All hunting fees must be paid, in full, and a liability release form signed, by each hunter, BEFORE the hunt begins. All hunts begin at noon and end at noon the following day (unless otherwise arranged in advance) and proceed, as scheduled, on a 'rain or shine' basis. 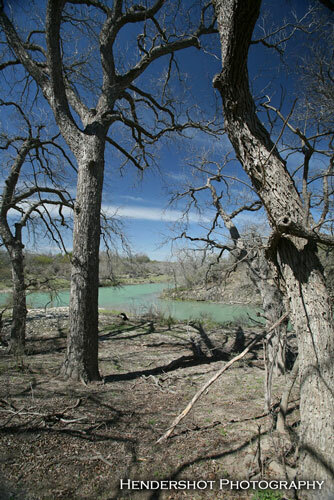 Failure to pay and sign the liability release form may result in trespassing and removal from ranch. NO harvest guarantees are made; and no refunds will be offered unless hunts are cancelled at least 60 days in advance of the scheduled start date for the hunt. Hunters MUST check-out at the ranch office before departing the ranch. Scouting is hunting; thus, scouting fees are the same as hunting fees. Extra nights in the cabins are $30 per person, per night, for those arriving early or staying over after the hunt. Space in cabins is subject to availability. 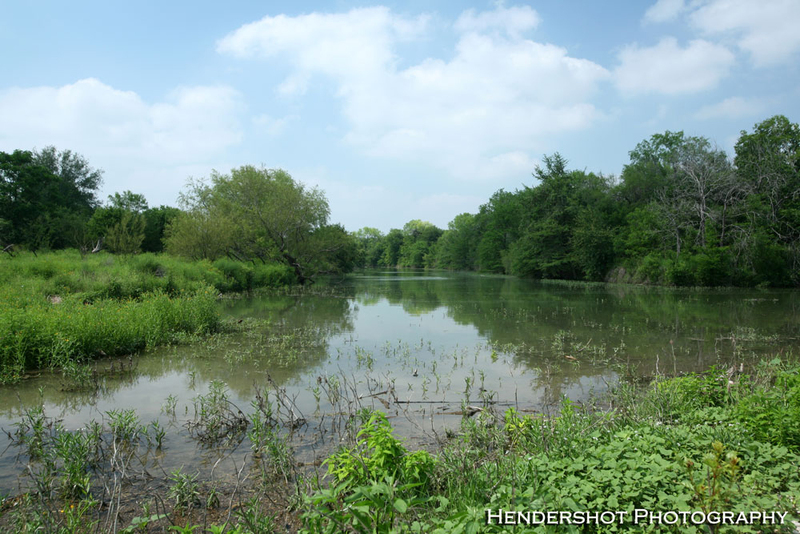 Non-hunters will be assessed a fee of $30 per person, per day for lodging in the cabins. Hunters must observe ALL Brushy Hill Ranch rules and ethical hunting practices, as well as ALL Texas Parks & Wildlife Rules & Regulations. Hunting directly on a feeder is discouraged. Hunting 50+ yards from a feeder, or along the corn route, can be just as successful and it prevents hogs from becoming 'feeder-shy'. ABSOLUTELY NO tampering with our feeders. Tampering with feeders will result in a $100 fee or removal from the ranch. NO fishing allowed on the ranch. Violation of this rule will result in an additional $150 fee per day! 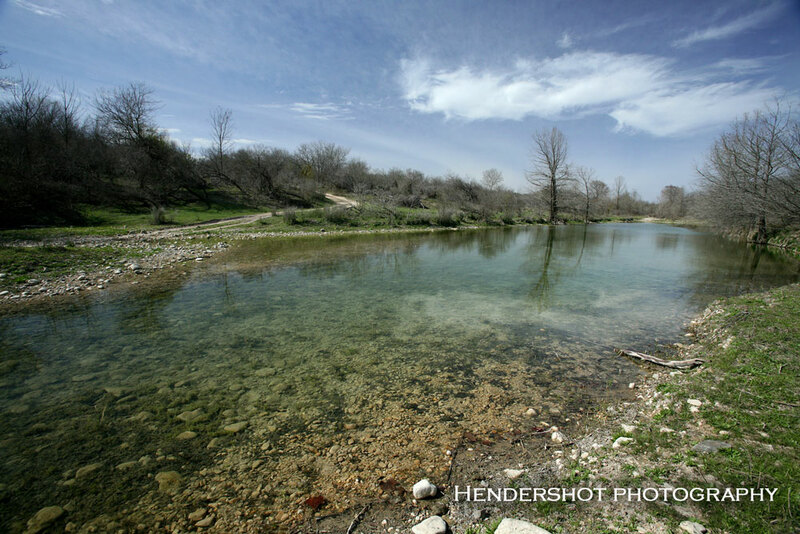 This includes tanks, creeks and the Sabinal River. Exotics, Predators & Varmints may be taken, without limit, at no additional charge. Make SURE not to shoot an endangered Jaguarundi- a species of cat that looks like a cross between a mountain lion and a weasel. 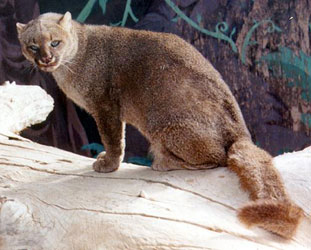 Click here for more information on the Jaguarundi, including photos of this beautiful and endangered cat!. *Hog & varmint hunting is permitted at any hour of the day- including night hunting- as long as everyone in the pasture agrees! However, driving is NOT permitted during the "Official Hunting Hours" listed above. Wounded game – Hunters must make every possible effort to recover any game they wound; an all wounded game must be reported to ranch staff promptly. Field dress all game at designated racks or in the pasture at least 200 yards from the camp house and any feeder. Dispose of all animal remains in designated areas or at least 200 yards from camp. Hunters may not, under any circumstances, cross out of their assigned hunting area or onto grounds prohibited to hunting! Trespassing onto other hunters' grounds during hunting hours may result in a busted hunt and the guilty party will be expected to pay for the disturbed hunt(s). 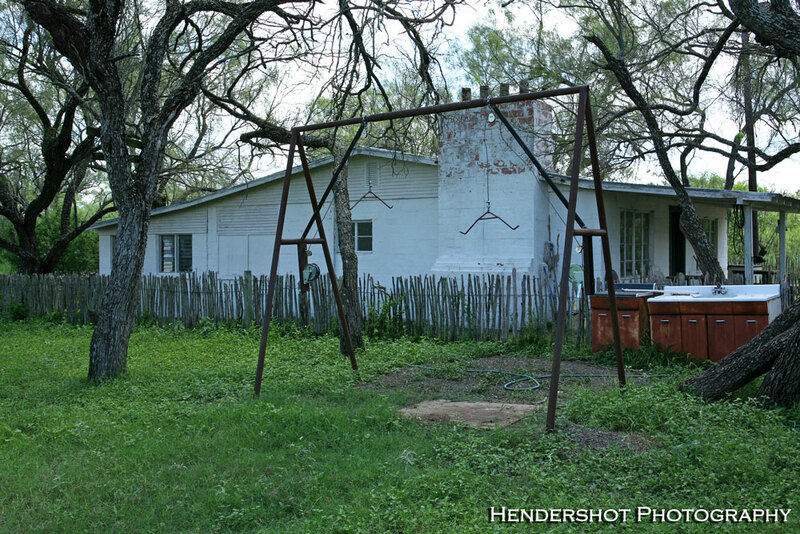 Trespassing onto neighboring properties may result in removal from the ranch. Hunters may not, under any circumstances, use or disturb other hunters' setups! Walking or driving through pastures, during hunting hours, is strictly forbidden. See “Driving Rules” section for more details including "Drive Times." Night hog hunting IS permitted during turkey season - as long everyone hunting in the pasture agrees. The"corn route" is run at ranch staff's discretion during wet weather. The corn route is a part of our management program and is a routine- not a 'service.' We make every effort to place corn where it favors our hunters but if you want corn placed in a particular place, please put out your own corn! A sack of corn is inexpensive ($10-$12) and is more than enough to last for a week-long hunt. Corn is available at several stores in Sabinal including the "One-Stop" gas station at the intersection of Hwy. 90 and Hwy. 187. Non-hunters are welcome if there's cabin space available. Please inquire when you book your hunt. No killing non-poisonous snakes, especially Blue Indigo snakes. Blue Indigo snakes feed on rattlesnake and are, thus, a big part of controlling the rattlesnake population. For information on the Blue Indigo Snake, including pictures of them to help you identify them, PLEASE CLICK HERE! No excessive tree trimming or brush cutting. DO NOT leave trash (i.e. beer cans, cigarette butts, etc.) in the pastures! Dispose of all trash properly- in bags at the camp house. No artifacts (i.e. Arrowheads, antlers, horns, etc. ), including rocks, may be removed from the ranch. Fully guided hunts, semi-guided hunts and bow hunting lessons are available from our head guide, Nick Anderon. Contact Nick (512-587-8651) for pricing and availability. No firearms of any type are allowed on this ranch- absolutely no exceptions! Any firearms MUST be surrendered to the Brushy Hill Office for safe keeping for the duration of your hunt. Possession of a firearm in any pasture or camp house may result in immediate removal from the ranch. We allow any broadhead for off-season hunting but strongly encourage hunters to use Rage broadheads or a large fixed blade broadhead for off season hunting. Rage is the only brand of mechanical broadheads we allow for whitetail hunting. Crossbows are allowed for turkey, hog, exotics and predators; but they are NOT permitted for whitetail hunting. 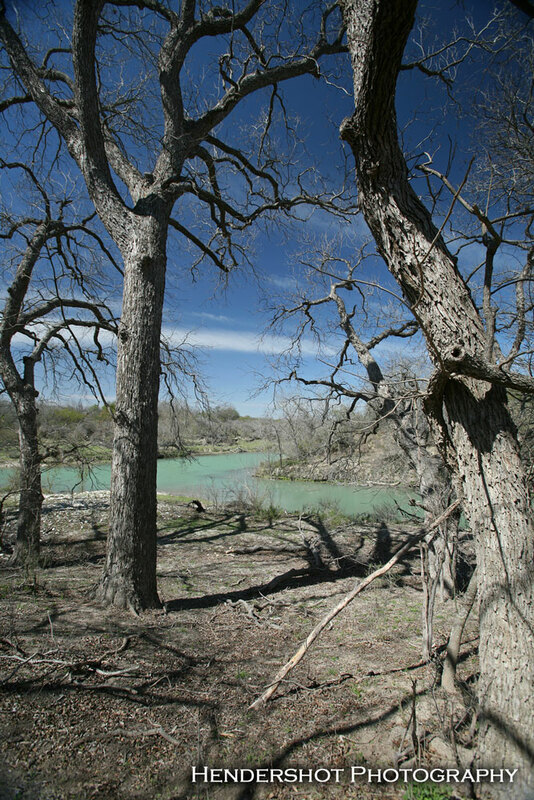 Exceptions MAY be made for those with physical handicapps but require approval from the ranch PRIOR to arrival..
Brushy Hill Ranch staff reserves the right to enter cabins and search any vehicle at any time or to request any hunter to leave this ranch for any rule violation. ATVs are not allowed on the ranch because the game are startled by the unique sound of their engines. This can lead to poor hunting conditions which may effect subsequent hunts and is not fair to other hunters. However, during periods of heavy rainfall, when road conditions on the ranch deteriorate, ATVs may be allowed temporarily. Hunters must maintain all gates in the open or closed position in which they are found. Please keep in mind that this is a fully working ranch with livestock on it. Hunters are required to remove any flagging tape, trail and/or road markers that they use! Driving is ABSOLUTELY FORBIDDEN during prime hunting hours except for emergencies, of course! Drive times are for getting in and out of stands, setting stands, scouting and relocation and are the ONLY times that driving is permitted on ranch roads. Keep in mind that excessive driving on the ranch roads usually results in poor hunting. Hunters driving/walking during hunting hours or non-drive times may be required to reimburse those affected, for their hunt! Leave all indoor & outdoor faucets dripping during freezing weather- to avoid broken pipes and water shut-off. ALL bar-b-que pits, fireplaces and campfires MUST be extinguished before you leave camp! Use EXTREME caution with ANY open flame on the ranch! 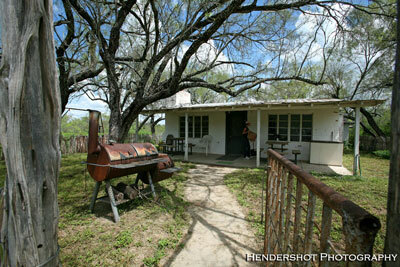 The dry climate in south Texas makes any flame, INCLUDING CIGARETTES OR CIGARS, a real fire hazard. Please use liquid to extinguish your smokes or any open flame you may have while you are in camp or in the pasture. Please remove muddy boots before entering cabins, to help keep the cabins clean. Keep cabins as clean as possible! This will help keep insects and animals out. Wash all dishes & cookware that you use daily. Your stay will be much more comfortable if each hunter takes a few minutes a day to straighten up. Housekeeper comes once a week- generally on Sunday. Trash cans MUST have trash bag liners and all trash must be bagged! Liners are provided for you in the kitchens. Taking your trash with you, or putting it in the ranch dump, when you leave is greatly appreciated. Lights out at 10:00 PM, unless all hunters in the cabin agree. Some images on this page are courtesy of Hendershot Photography.